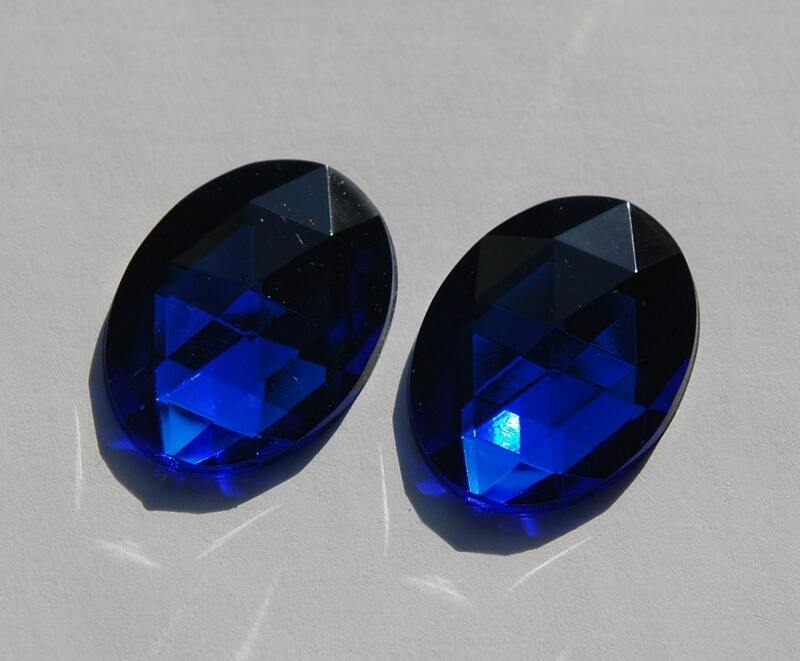 These are faceted acrylic cabochons. They are flat back with a faceted top. These are a sapphire blue color. They measure 40mm x 30mm. You will receive 2 pieces. Exactly as described, shipped quickly. Thank you! These are absolutely gorgeous in person. The perfect blue!